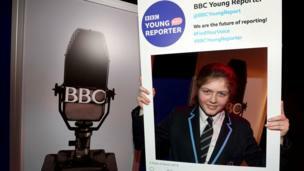 The Festival of News day in BBC Northern Ireland puts our Young Reporters in the picture. 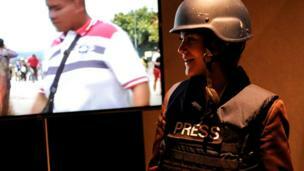 Journalism can be a serious business - one Young Reporter tries out some riot gear for size. 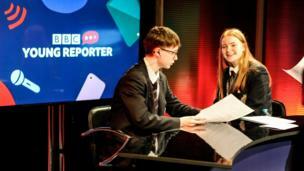 BBC Reporter Aileen Moynagh demonstrates how it's done for our Young Reporters. 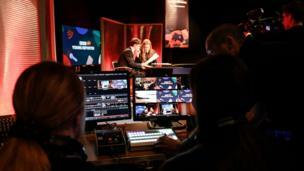 A lot of different roles contribute to each live broadcast, and our Young Reporters get to experience them all on the Festival of News day. 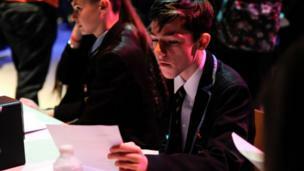 Final checks of the script are essential to ensuring everything uttered on air is as it should be. 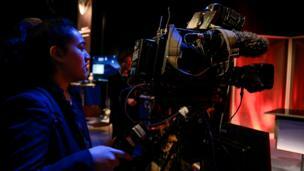 Here, one Young Reporter casts a careful eye over everything. 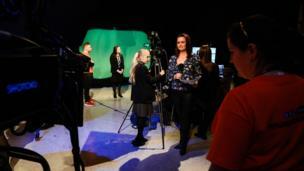 Young Reporters present the news. A sneak peek at the autocue script the presenters have to follow. 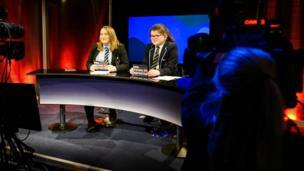 Two Young Reporters at the BBC Newsline desk, ready to broadcast! 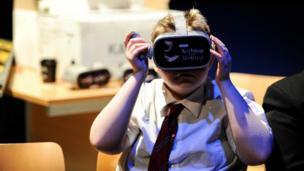 A Young Reporter experiences some BBC journalism in virtual reality. 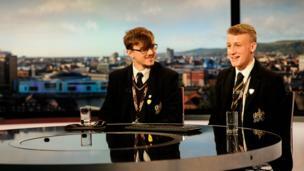 Two new faces on the news! The weather is going to be..., mainly green! A Young Reporter tries his hand at forecasting. 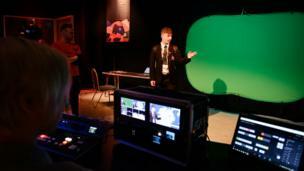 A Young Reporter takes charge behind the camera. 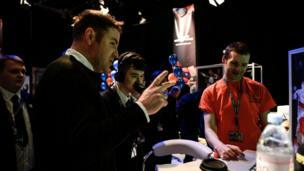 Thomas Niblock cues in a Young Reporter giving sports commentary a go. 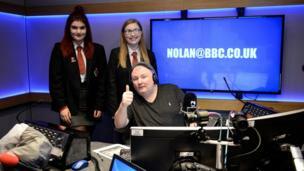 Two Young Reporters popped along to the Nolan studio. 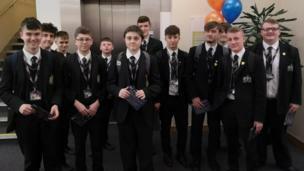 A group of Young Reporters prepare to enter the fray as the Festival of News day kicks off in BBC Northern Ireland.